Perfect replacements or upgrade for factory headlights. 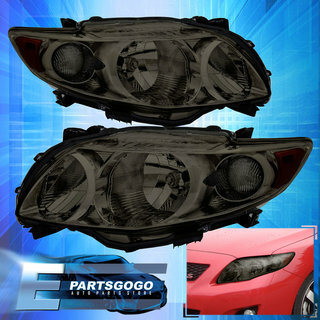 These headlights are quality tested for performance and durability. Add the finishing touches to your car with our extensive line of fusion headlights for your vehicle. The headlights kits provide for intense light beam concentration. The latest in headlights styling and design for replacing OEM headlight. Provides the satisfaction of having the latest fusion look within minutes. Will dramatically improve road lighting and look. Ideal for fog, snow , rain and for all night time driving. Will reuse factory bumper mounting tabs for 100% OEM look. Reuses factory power source and bumper for an awesome look. 1 Piece design, making it easier to install!